August 5, 2018  New York Gov. Andrew Cuomo says the National Rifle Association's lawsuit against him is "frivolous." 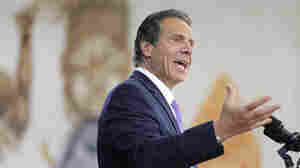 The lawsuit claims that Cuomo's policies are trying to deprive it of its First Amendment rights. August 4, 2018  The National Rifle Association says insurance companies are backing away from the organization, threatening its ability to operate.